When it comes to your family’s health you want the best. That’s why you’re so finicky about what you put onto the dinner table and into your kid’s stomachs. Water is everywhere in life and in everything you eat or drink. In order to be eating and drinking good clean and nourishing food you need a pure source of water that is clean, tasty and reliable. Luckily, there’s a solution to the problem. Reverse osmosis filters are one of the most effective methods of purifying water. A reverse osmosis filter can effectively remove all impurities and harmful contaminants from your faucet, giving you the cleanest water possible for your home and family. What’s more reverse osmosis will remove nitrates, chromium and mercury giving you a more refreshing and better tasting glass of water. At Royal Flush Plumbing, we specialize in the service and installation of reverse osmosis filters for your home or office. Once our team of professionals has installed your new filtration system, you can immediately begin enjoying healthier and better tasting water. We’ll see to it that your new system is up and running and functioning great. Plus, we’ll install a large tank to insure that you’re always provided with excellent water. 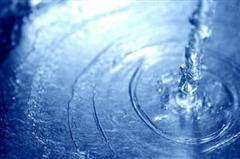 Get the best water possible, call Royal Flush Plumbing today at 770-385-5911.